Well, it’s that time of year again … the two months out of the year where we simultaneously gaze in wonder at the fall beauty of our wooded backyard, while at the same time shaking our fists at the flurry of leaves falling to the ground. We filled 12 giant bags with leaves on Sunday, and by Monday morning you couldn’t even tell we’d raked. It is a family affair, though, and it gets us all outside and working together. Silver linings, right? I’ve raked up a few things around the web over the last month that I thought you might find interesting, too! Now that you know our leaf situation, I imagine we could spare at least a few said leaves for this sweet Fall DIY wreath. With cooler weather on the horizon, I love the idea of putting together a tinkering station for young builders and aspiring engineers. As if we needed more convincing to play games … but this is a cool piece on how family game night can make kids into better students (bonus: it has some great game suggestions you might not have heard of). 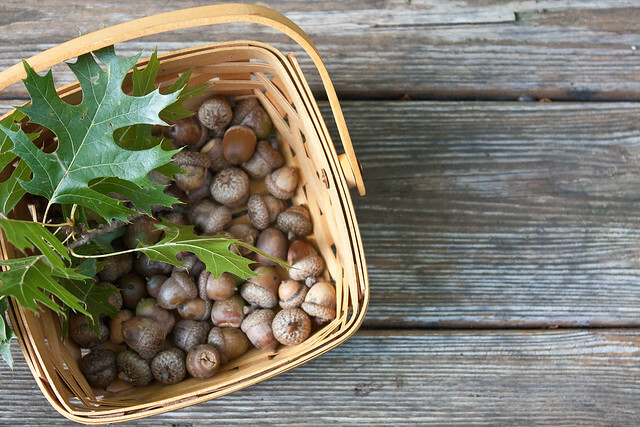 Over at Bedtime Math, we brought back a cheesy game, took a hammer to our bushel crop of acorns, and worked on our target practice.